A second-hand Airbus superjumbo will fly for Norwegian Air Shuttle later this month, giving a model once seen as the epitome of luxury a first taste of discount travel. The A380 has been drafted in to operate between London Gatwick airport and New York’s John F Kennedy hub after the grounding of some of Norwegian’s own Boeing 787s, according to a spokesman for the airline. The trans-Atlantic stint comes after the Scandinavian arm of Thomas Cook Group this week used the double-decker to transport holidaymakers between Copenhagen and Cyprus and Oslo and Majorca to help cope with its own plane shortage. 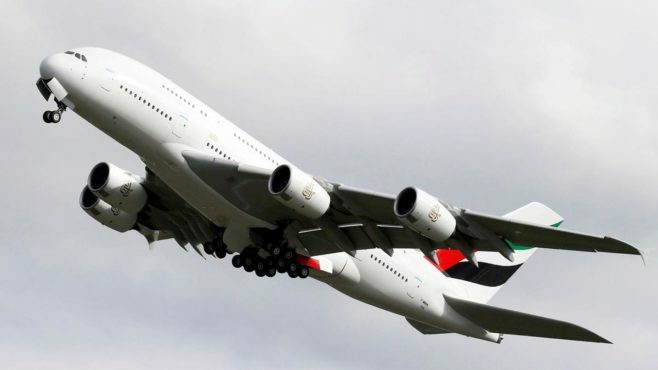 The jet was released by Singapore Airlines after a decade of service and is the first used A380 to find a new role.